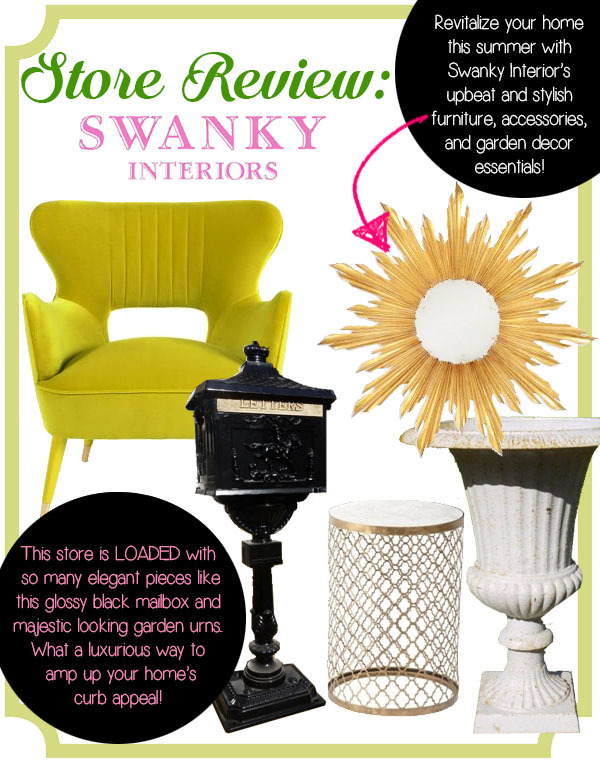 Summer is just around the corner and with Swanky Interior’s gorgeous garden furniture selection, decorating your garden has never been easier! Take a look at some of our favourite furniture picks and how to decorate with them! 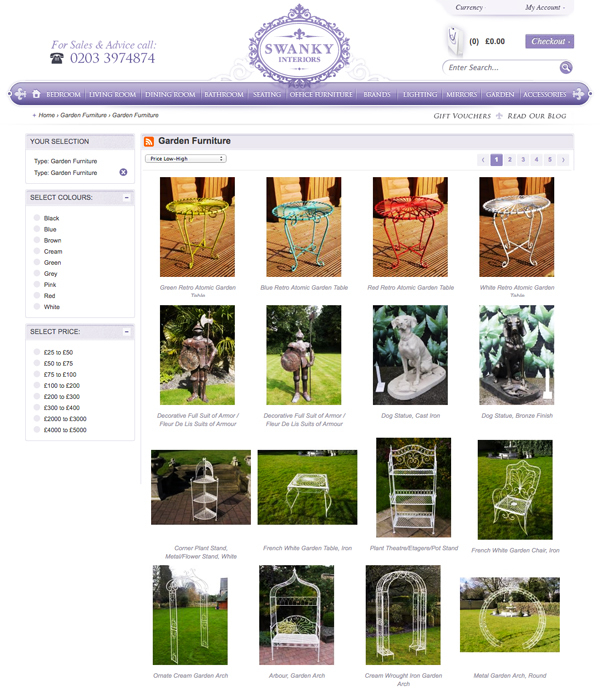 Based in Wimbledon, London, Swanky Interiors furniture store is anything but ordinary. This place is a definitely a decorators dream come true! From beautiful French inspired beds (they exclusively carry a line of Jonathan Charles furniture), to handmade leather chests, gold iron serving trays, and antique style wedding gazebos – this place has it all plus some serious style. Decorating your home from top to bottom is easy, and achieving a look that no one else has is even easier at Swanky Interiors. With summer just around the corner their store is filled with an exclusive selection of garden furniture and accessories that are unique, carefully sourced, and most importantly timeless. 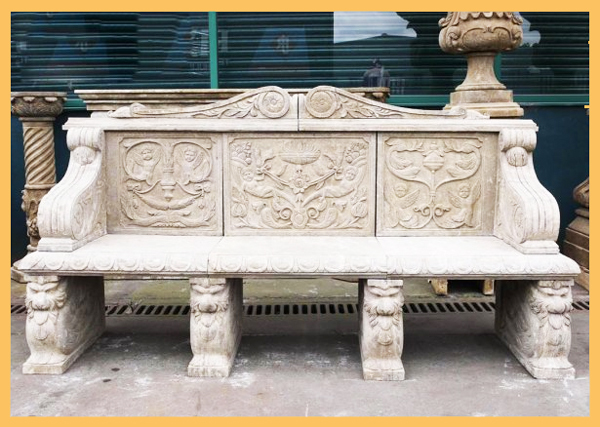 One of my favourite pieces from their online store is a gorgeous hand carved natural stone bench that has been skilfully carved by master stonemasons. Now how impressive would this look in your backyard garden? Browsing their online store SwankyInteriors.co.uk you will find a ton of stylish pieces that are romantic and will definitely add a lot of charm your space. Their garden section features a lot of vintage and shabby chic pieces that are perfect to create a dreamy corner in your backyard. A garden, patio, or even a apartment balcony can be transformed with a few of these cottage country style iron furnishings. 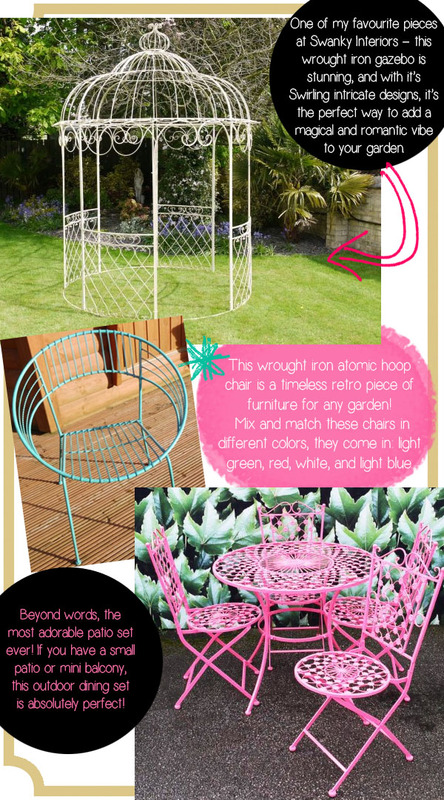 What’s even better is that wrought iron is low maintenance and weather resistant, making it the perfect outdoor furniture investment. 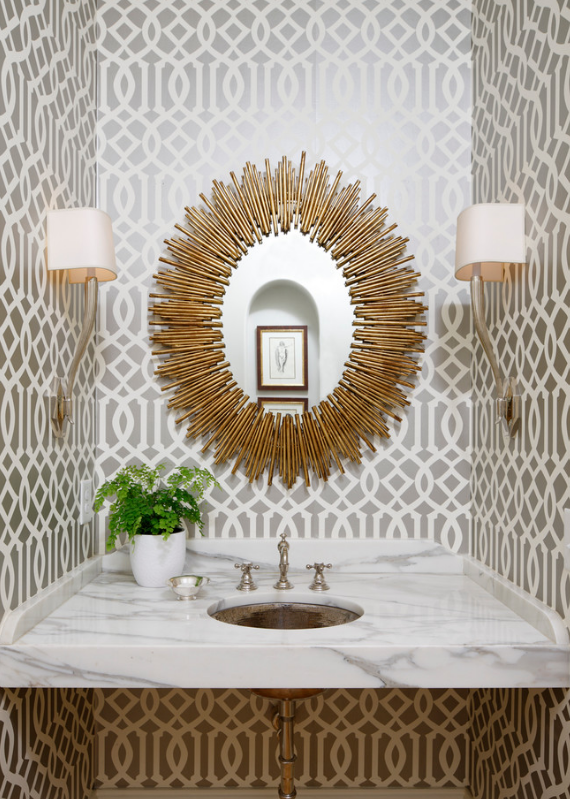 When it comes to choosing some of my favorite pieces from Swanky Interiors, it’s hard to choose just one! From stone sculptures, to metal arches, and the stone carved benches I mentioned above, I would like to take just about everything home. Although above all at the top of my list, I have to include a dreamy wrought iron gazebo (below). This gazebo looks like it’s straight out of a French romance novel. In a cream finish, it’s a stunning piece that not only serves a good purpose in your backyard but also serves as a work of art. It is ideal for growing climbing plants like vines or even better – roses! 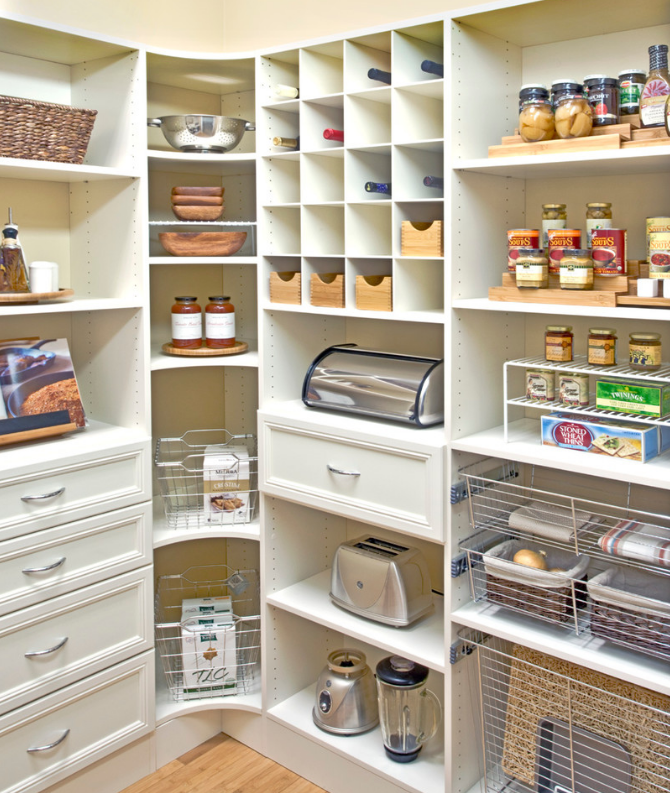 Currently, Swanky Interiors has all of these items in stock – but they don’t last forever! Since most of their items are hard-to-find treasures, sometimes they only carry just that one piece. 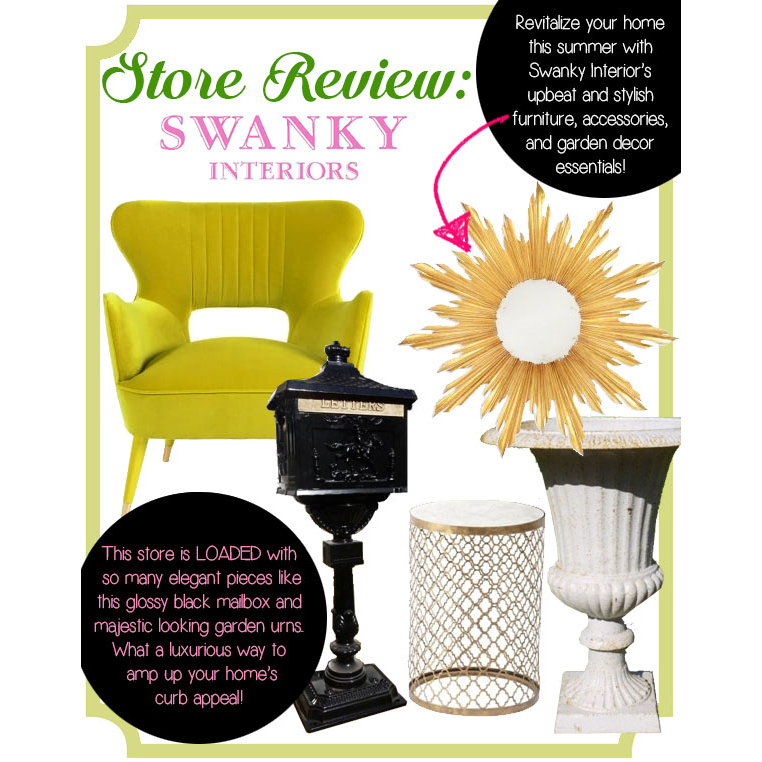 If you want to add grace, charm, and create a to-die-for look in your garden, hurry over to Swanky Interiors online store and start shopping now!